Knitting Up North | Self Control – I do have it! Self Control – I do have it! I actually entered a yarn shop today and only came out with a magazine and 1 ball of wool (pauses for shocked gasps of breath).I did check my forehead for a temperature but no, I must just have started the year off in a more reserved way!It was a particularly lovely magazine though – Interweave Holiday Gifts. Wasn’t going to buy it but got sucked in by a gorgeous pair of socks and that was it. Also there was an advert with a pug in it so that was it, I was lost! 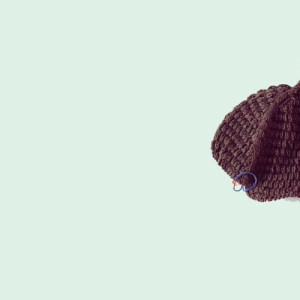 I went into auto-pilot and blindly handed over my debit card!Also to make matters worse the ball of wool wasn’t even for me really – it was for baby bump!I am going to do the nightcap hat from the Simply Baby book. I just can’t stop knitting for the bump – it’s 2 months away from being born too! Someone stop me! No don’t actually, you know I really don’t want to be stopped.